According to The Hollywood Reporter, the lawsuit brought against Avenged Sevenfold by its former label, Warner Bros. Records, could set a new legal precedent if it actually comes to trial in December. Warner Bros. sued Avenged Sevenfold in late 2015 after the band left the label by citing the California Labor Code's "seven-year rule." The rule allows for parties to exit contracts after seven years if certain unfavorable conditions exist. Nearly every, if not all, similar cases in California have been settled out of court before trial. But a provision in the rule allows labels to collect money that would have been made on undelivered albums. 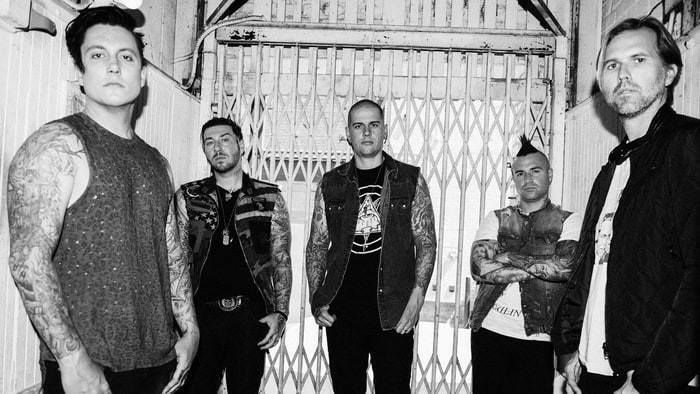 Warner Bros. is seeking damages based on the fact that Avenged Sevenfold had one album left on its contract, while the band has argued that extensive turnover in the label's staff led to an unsatisfactory working relationship. If it loses, Avenged Sevenfold could face a verdict between $5 million and $10 million. Warner Bros. is also being allowed to seek its attorney fees — already amounting to more than $1.5 million. "We've realized this battle is bigger than just us," Avenged Sevenfold singer M. Shadows said. "We're fighting so that all musical artists have the same rights everyone else has. It's not like we wanted to be here, but we are down for the fight." If there is no settlement before the case goes to trial, Warner Bros. will have to present evidence in court of how much the label could have earned if the band's new album, "The Stage", had come out through Warner Bros. instead of the group's new label, Capitol Records. The figures could set the standard for future cases. Complicating matters is that the surprise release of "The Stage" has backfired on the group, with the record selling considerably less in its first weeks on sale that the last three Avenged Sevenfold albums. Avenged Sevenfold's attorney, Howard King, is arguing that there would not have been much — if any — profit for Warner to lose on the band's fifth album. "We believe a jury will conclude they can't prove any damages," he said. He added that "The Stage" "has been a commercial disappointment. WBR would have lost money had that been delivered to them for marketing."